My favorite SoCal brewery, The Bruery, is teaming up with chef Eric Greenspan of The Foundry on Melrose for Dionicess VIII, an ambitious beer-paired lunch and beer-paired dinner for the ultimate beer fan/food enthusiast. Guests have the choice of either doing the 4-course lunch ($45) at 1pm, the 6-course dinner ($85) at 6pm or going whole hog the whole day (both lunch and dinner) for $115! For a peek at the menu, hit the jump. Kazanchayan says the gang is currently toying with activities…including an “Iron Chef” viewing (Greenspan recently competed) or a Melrose Blvd. excursion to gain back your appetite. Greenspan might also offer up the Foundry’s patio for disco naps. 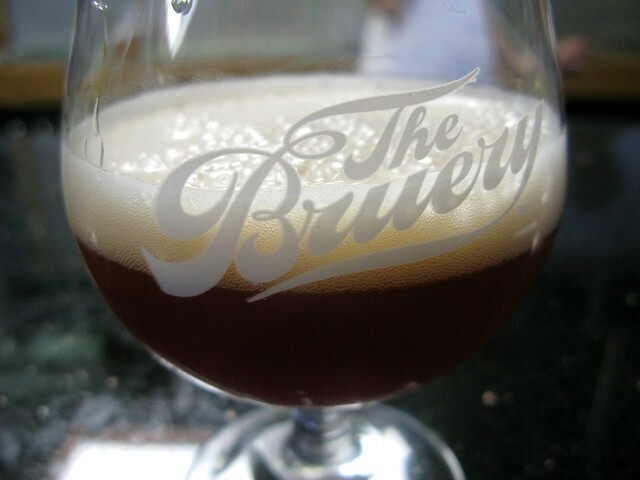 As an extra incentive, as if you needed one, there will be two beers included that are only available at The Bruery and The Bruery Provisions store as well as three that are no longer available at all for public purchase. Since seating is limited, best to purchase your tickets asap. You have to pre-register to attend as there are no walk-ins allowed. Each course below includes the Bruery beer it will be paired with.